" [Grapes are] the most noble and challenging of fruits." By the 2006 season, Fox Hollow was open for business as a U-Pick vineyard as well as selling grapes at wholesale to local vendors. Over the past few years, Fox Hollow has become a local favorite U-Pick destination. We have loyal customers who return every year and we have been delighted to meet visitors from all over the Florida Panhandle area, central and south Florida, southern Alabama, Georgia and as far away as New York--we even have customers who have shipped our grapes to family members across the United States! Fox Hollow welcomes wholesale inquiries. Susan’s father, Bernie Howell, acts as her wholesale broker, handling sales and deliveries of grapes to our local wholesale clientele. 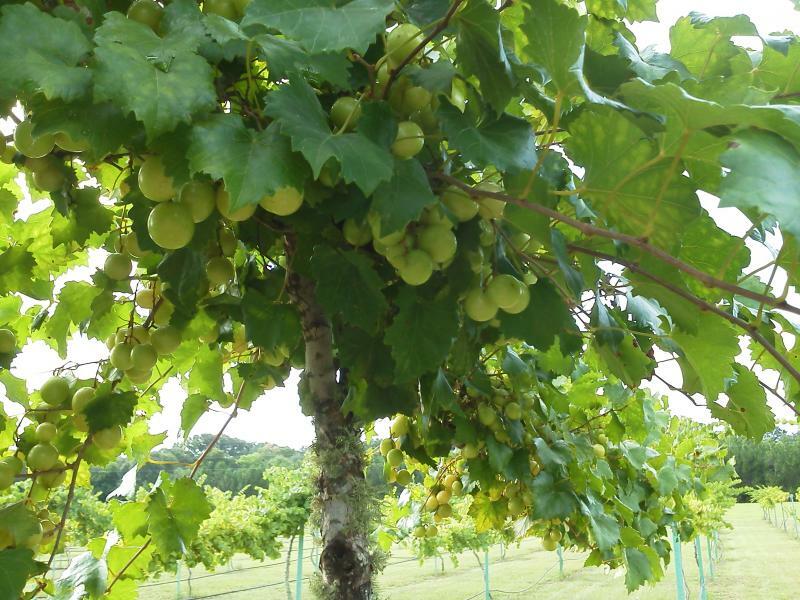 To contact Fox Hollow about wholesale or bulk muscadine purchases, call us at (850)593-2202 or fill out our online contact form. In loving memory of Morgan, the official mascot and "customer relations representative" of Fox Hollow Vineyard. I heard someone define Heaven once...as a place, where when you get there, all the dogs you ever loved run to greet you. What's New at Fox Hollow? We have opened for the 2018 Muscadine season and look forward to seeing our return U-pick customers as well as new faces. We will also be selling jellies and preserves made with our grapes, pomegranates and figs. We will also have home winemaking supplement kits available again since they have been so popular. Check out the progress in the Vineyard Gallery and see pictures of our visitors and the scenery here at Fox Hollow as the season progresses. Come visit us and you might see yourself in the Gallery. We made the news last season! Check out the excellent coverage we received from Channel 7 WJHG. 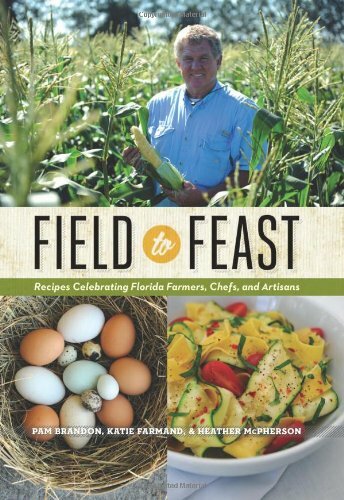 Fox Hollow is proud to be featured in a beautiful pictorial/cookbook showcasing Florida farmers, chefs and artisans: Field to Feast. Click the image below to go to the book's Amazon page. Stay updated by checking the website frequently, or sign up for e-mail updates (including notice when we open the vineyard for the next season) on our Contacts page. Click here for a map to Fox Hollow Vineyard.